a rigid shovel for ice, fish guts and other purpose. The smooth and stain resistant surface prevent from contamination with microoorganisms and can easily be cleaned. 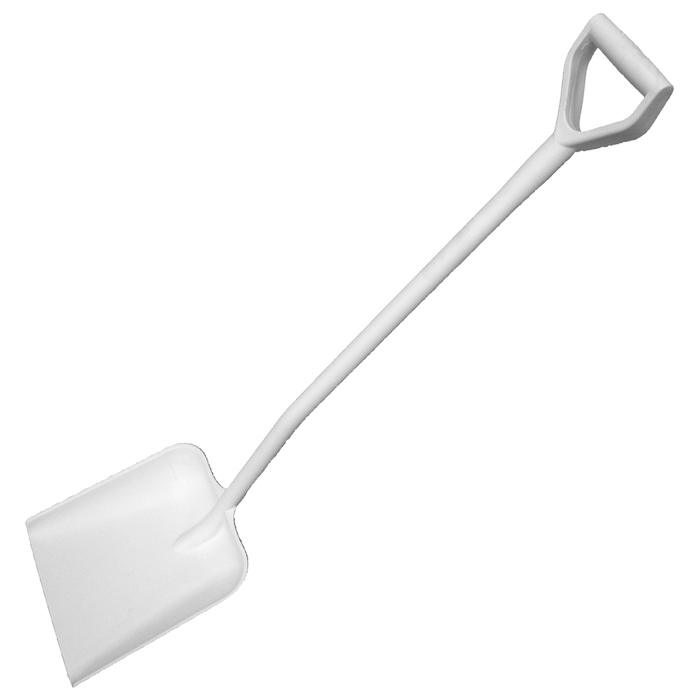 At a minimum order of 6 pieces and a delivery time of 1 - 2 weeks these shovels also can be supplied in blue, yellow, green or black colour.